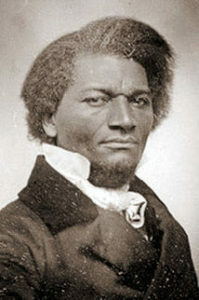 On July 5, 1852, the great orator Frederick Douglass delivered a speech on the “Meaning of the Fourth of July,” now considered one of the best speeches of the 19th century. Twelve years before the Civil War, and speaking as a man who had escaped enslavement, he pondered the meaning of celebrating independence when many were not free, were not even considered full human beings and citizens. Join us as we listen to excerpts from the speech, and then consider together the impact of Douglass’ words not only on his audience in 1852 but on us today. How relevant are his words in today’s American culture? Our hope is that we are a place where we can have conversations about race, racism and racial justice that just aren’t happening very many places. Clergy Leader Jone Johnson Lewis will introduce you to her top 25 ethical heroes, some of whom you may know, some may be new to you. What is an ethical hero? What qualities can we culture in ourselves and our children to help us be more like our heroes?